Purrfectly adorable, this cozy leopard fleece womens costume set has attached tail and ears. 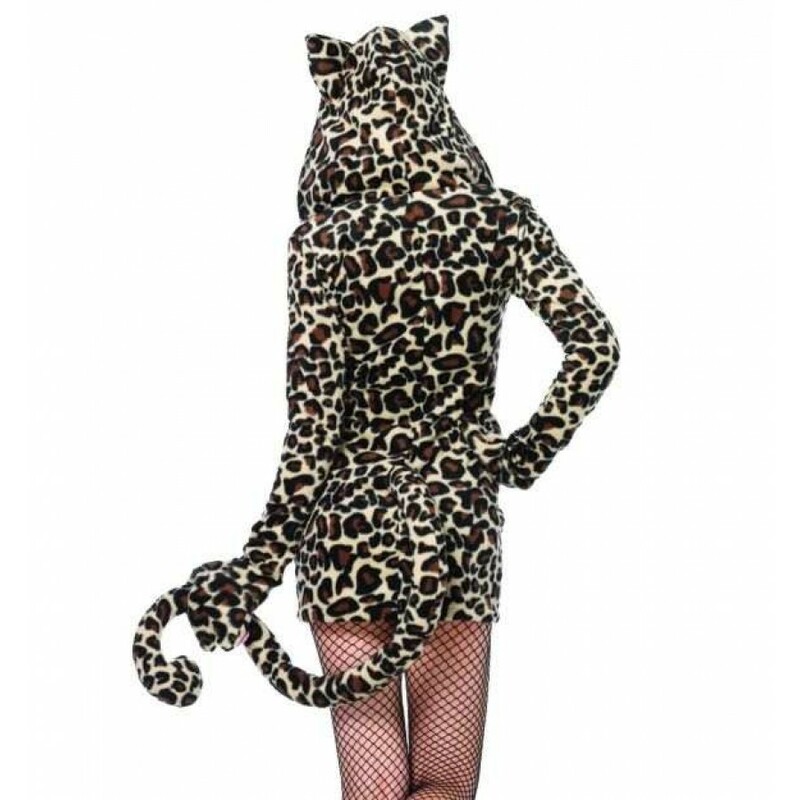 Let your wild side out to play in this fun and playful Cozy Leopard costume features a zipper front fleece dress with paw gloves, attached long curly tail, and adorable ear hood. Item Number: LA-c85313-X | Approximate Size (Inches): 10.00 wide x 2.00 deep x 14.00 high | Approximate Shipping Weight: 2.00 lbs.